Jessie made several transactions at Walgreens. She saved over $110!! 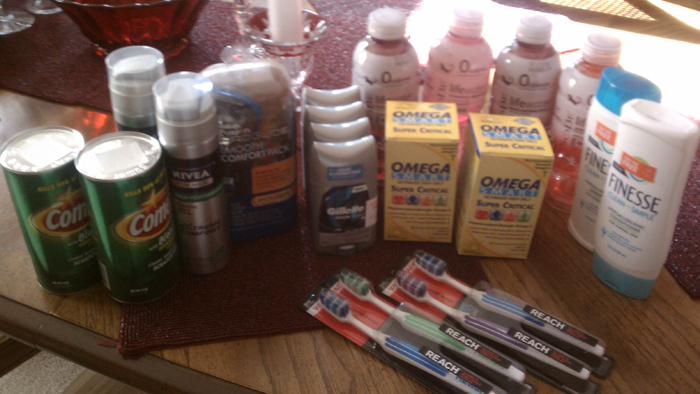 This was a great trip to Walgreens. My family is thoroughly impressed. Thanks for all your help! Note from Cindy: I’m noticing in her transactions that transaction #1 she purchased the Sobe, received the $0.99 RR. Then she used the $0.99 Sobe RR to purchase Sobe in transaction #3 and, it appears, she received a $0.99 RR. However, when she did the same thing in transaction #4, she did not get the $0.99 RR. Is this rolling? I’m not sure. Has anyone tried to roll the Sobe? Be sure to check out the Walgreen’s deals for this week. And be sure to check the LRWC Coupon Database to find any of the coupons listed here. If you have a shopping trip you want to share, find out how to enter it into the $100 Store Gift Card Giveaway.